Most of us have some days off inbetween Christmas and New Years, so here is another installment of the fridanoodle film club to inspire you when your Netflix to-watch list starts to dry up. Best movie poster since Grand Budapest Hotel. Love this artwork, and it perfectly captures the odd and mysterious tone of this film. 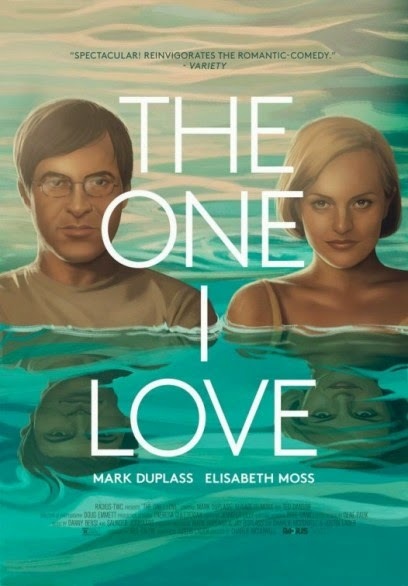 It stars the wonderful Elizabeth Moss who we all know from Mad Men, as well as Mark Duplass, who stars in series The League (actually funny for non-sports fans despite being about a fantasy football league) They play a couple who have sought counselling for their marriage issues, and are recommended to visist a retreat to try and heal their relationship. At the retreat weird things start to happen and a mystery begins to unravel. I don’t want to reveal too much but this film was so interesting and is a must see! It is quirky, brings up some interesting questions about relationships. I felt it was a good balance of humour, love and dark themes in a twisted up slightly sci-fi plot. You may have heard of this series about the mysterious disappearance of a 12-year old girl following an attempt of suicide. 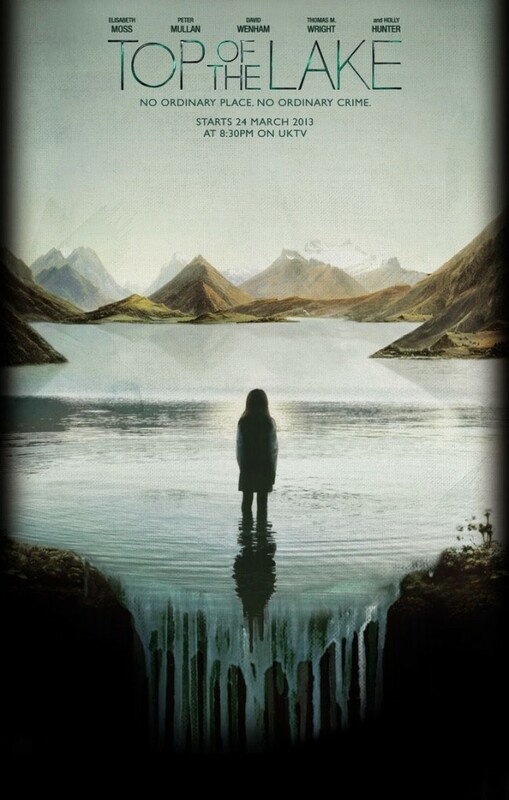 Tui is found walking out into a freezing cold lake and shortly thereafter she disappears. Detective Robin Griffith (Elizabeth Moss) is in charge of finding the missing girl in this small community full of secrets, all the while facing her own troubled past and ties to the town. This show is bleak, depressing but intriguing and is a crime drama worth a watch. I sailed through the episodes over a couple of days and actually dreamt about the show once it was over. Definitely one that will stick with you for a while. Seeing as it’s the holidays I’m throwing in a couple more recommendations, because I have seen extra many movies and so should you. Supersized with extra fries, coming right up! I saw this movie a while back and was reminded about it when Sandra recommended it on niotillfem. It’s based on a true ad placed in a local paper which you can read above. 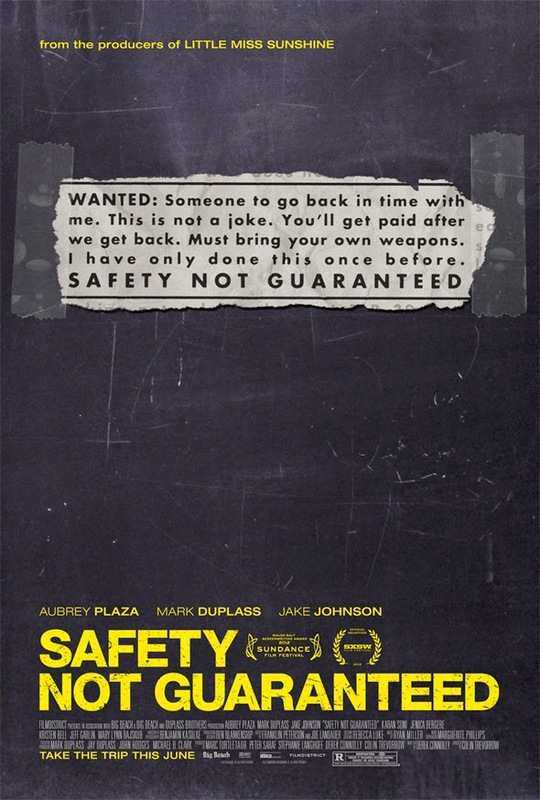 The film stars Aubrey Plaza as a bored intern who jumps at the chance to follow along on roadtrip suggested by a journalist colleauge to find and interview the writer (Mark Duplass) of the short but intriguing ad. The film is adventure-fuelled and has a lovely story of these sceptical journalists meeting Kenneth who fully believes in time travel. The movie makes up for the sadly rather depressing end to his funny prank ad, with Plaza at the top of her acidic comedy game. I mean, anything with her is pretty much golden, and this was a quirky comedy right up her street. 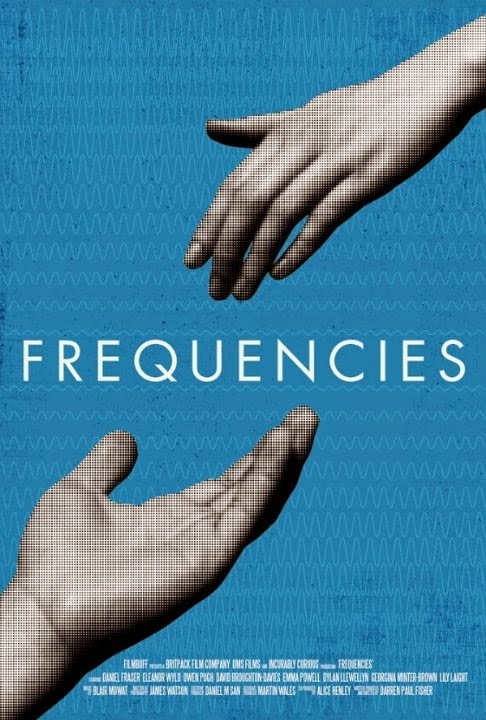 Frequencies is an interesting comedic take on a love story between two people from different classes. In this movie’s reality people are born with a specific frequency which determines their luck and how well they will do in life. People of high frequency find life easy and almost molded to their needs, while low frequency individuals are “out of sync” with the world, and are always at risk of accidents, misfortune and failure. Zak, a low frequency individual falls for Marie, the highest frequency person at his school. Whenever they are together clumsy Zak risks death as their frequencies clash, while analytical Marie lives a cold life, unable to feel due to her high frequency and level of intelligence. It is a movie full of existential questions about fate, whether or not we can control our detistinies and whether there is such as thing as free will in a world where you are born into specific categories. I found this to be a really intriguing film, it follows each individual to show their side of the story and each part unravels more of the mystery. You have to pay attention though and remain open-minded to fully appreciate this movie and it’s constantly twisting and questioning plot. Not one for after a mulled wine session, that’s for sure.. I hope you enjoyed this fridanoodle film club. Check out previous parts 1, 2, and 3 if you missed them, and have a continued good holiday!